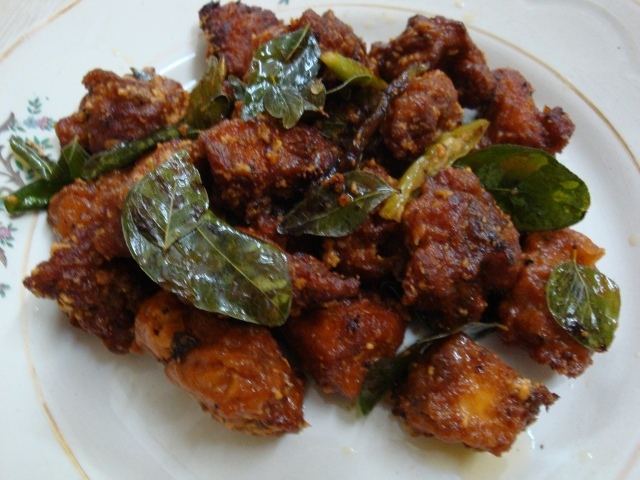 How To Make Andhra Chicken Fry? Heat oil in a heavy bottomed saucepan and add the cardamom pods. Sizzle for a minute as they start to flavour the oil. Add the sliced onion and fry for 5 minutes until it softens and starts to change colour. Now add the garlic along with the green chilli. Fry for a further 2-3 minutes on a medium heat – it will start to lose its raw flavour. Add the chopped tomato and fry everything together, mixing well to soften for 3-4 minutes. Tip in the Patak’s Madras Curry Paste and a few splashes of water, so the spices don’t burn. Cook for two minutes to mix it through. Now add the chicken and stir well to coat all the pieces in the masala spice base. Seal the pieces for 3 minutes, stirring to make sure they don’t stick to the bottom of the pan. Add the water, stir well and bring to a boil. Simmer the curry with a lid on for 20-25 minutes until the chicken has cooked through and is still moist. Stir half way through and add the tamarind concentrate, half the curry leaves and grated coconut. Toss and continue cooking. The gravy should be thick and coating the chicken pieces. 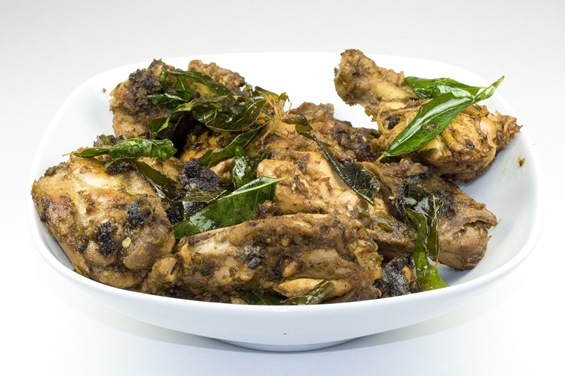 Season to taste and garnish with the remaining curry leaves. Serve with your choice of bread.